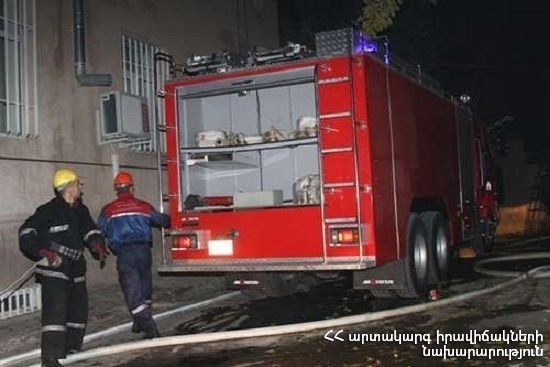 On February 10, at 18:15 an emergency call was received to “911” service that smoke was coming out of one of the houses in Ujan village, Aragatsotn province. It turned out that the fire had broken out in the chimney of one of the houses in Fidayinner street. The fire was extinguished at 18:50. The wooden lining of the chimney burnt (about 8 m2).